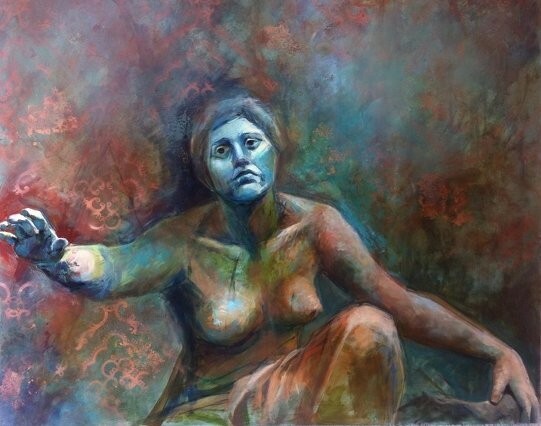 This painting is my rendition of one of the figures in Lorado Taft's sculpture, "The Fountain of the Great Lakes." I chose to work with this particular figure because I was intrigued by the patina effect on the sculpture. There is one figure for each Great Lake, and the water flows down the fountain in the same pattern of the lakes.